One thing that has always impressed me about Capital is how showbiz it always seems. Everything they do oozes ‘we are the No.1 Hit Music Station’. Maybe this is due to the extensive concerts, endless celeb interviews and extensive inside gossip. When it was announced Roman was going to take over, I did wonder how the show could really set itself apart from its predecessor. It was clear a shake-up was needed, especially when the new host was half the age. I’m never sure how showbiz Capital actually is. Maybe Roman really is good friends with all the stars, and they all love listening to Capital. Perhaps it’s just great presentation and packaging in all the correct ways. Either way, there is distinctively a more showbiz feel to it all. Something I never thought they could do any better. 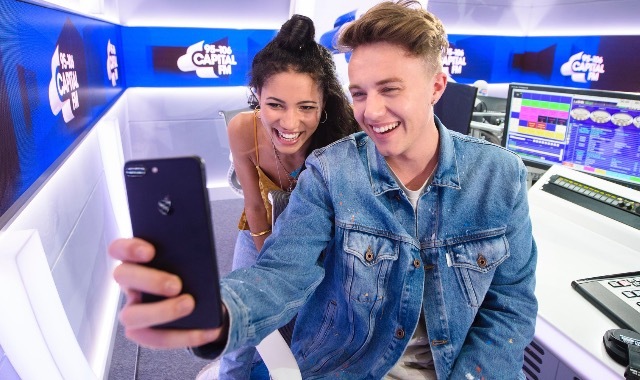 Despite the fact I think Roman Kemp and Vick Hope are great presenters in their own right, I don’t feel much chemistry between them. I really hate the sound of forced chemistry on-air, especially when it can be avoided. This isn’t to say they don’t get on. It just often feels like a ‘good time’ is being forced. The previous lineup of Dave Berry, George and Lilah also had a chemistry issue in my opinion, but to their credit, they turned my opinion on its head towards their last few months together. It bugs me that Vick Hope doesn’t get billed on the show, just like Kat Shoob on the Big Top 40. It’s all well and good having a name on your breakfast show, and Roman is 100% a name, make no mistake. It can’t help the chemistry in the studio grow over time when the elephant is in the corner, and everyone knows Person A is getting paid more than Person B, and they’re considered ‘the talent’. It’s tricky setting yourself apart from competitors when you’re in a CHR market. There’s only so many combinations you can spin the Top 40, and ultimately it comes down to content on breakfast. Kiss FM UK has a well-established line up for breakfast, who have history, and chemistry to back them up. Ricky, Melvin and Charlie are no newbies to the daypart, and they have no shortage of laughs with each other. Roman, Vick, and their team do an utterly fantastic job when it comes to content. When Anne Marie comes to town to promote her new single, Kiss does a very standard interview. There’s a couple of laughs, a few silly questions and maybe a game, but that’s it. Capital Breakfast recently made headline news by making Shawn Mendes think he’d ruined a proposal live on-air. They will consistently step up and go one step further with guests and games. I think Capital Breakfast has developed into a fantastic show so far, and when you consider the age of the show it’s astonishing. My concerns with chemistry may well iron themselves out. Many breakfast shows take a good 3-4 years to really develop to their potential. Does Global have the patience for that? Only time will tell. They’ve invested a huge amount of time in Roman and I don’t see them doing anything stupid. I would be interested to know your thoughts. How do you think Roman and Vick stand up to competitors like Kiss FM and Radio 1?